The summer is approaching and many of you are planning your well-deserved holidays! 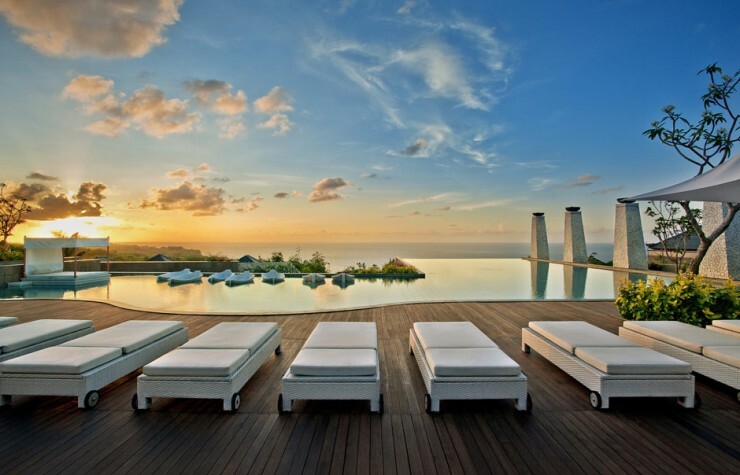 Bali remains one of the most desirable vacation destinations. Therefore we have handpicked these ten great resorts that will provide an unforgettable experience. Founded on a hill, which boasts the rice fields, Soori is all about a comfortable relaxation. A private butler will help to customize the activities such as horseback riding, visiting a sixteenth-century Hindu temple or book a revitalizing spa treatment. In a meantime, the guests can relax in their wonderful villas. The hanging gardens or pools above the opulent forest have become an iconic image when talking Balinese holiday. The private pool villas boast great views over the valley. 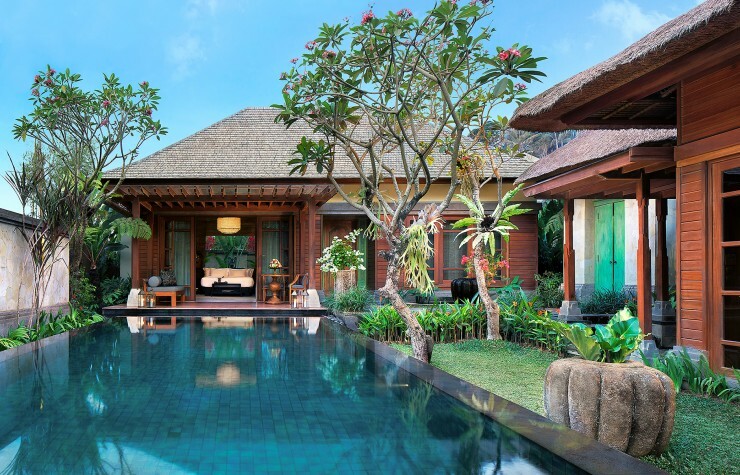 The elegant design has been inspired by the local Balinese culture and exudes the so needed tranquility. The resort does not disappoint with its environment: the rice paddies and waterfalls surround with tranquility the moment you step inside. Villas are posited on the bank of Ayung River, boast fantastic views. The guests are offered jungle trekking, cycle tours, daily wellness classes, and traditional Balinese dance performances. Embedded in the lush rainforest right on a riverbank, the brand new resort of Mandapa is surrounded with unspoiled nature, which itself is such a treat. Villas and suites are very spacious – together with the customized wellness programs, it will provide the deserved relaxation for anyone and everyone who will step into Mandapa world. The very hip and youthful retreat will attract fashionable guests. The colorful and distinctive W design is a real treat for an eye. Woo-Bar is open all night, while 24/7 Spa with intense oxygen treatment will recuperate the party animals after a late night. The resort is already famous for its recognizable infinity pools, descending in three stages! The elegant hotel is very romantic and the service is orchestrated to leave its guests with some of the most unforgettable moments. Most suites feature private pools, ensuring the desired privacy. Posited on the top of the cliff, the resort boasts views to the Ocean. Villas will spoil will with a spacious living space, a private garden, and a gorgeous marble bathroom. The very unusual feature is a seafood restaurant Ju-Ma-Na, which follows Moroccan cuisine! The resort is founded on the top of the cliff boasting breathtaking views to the sea on one side and lush forest on the other. There is a private sandy beach below. The Italian designer Antonio Citterio has created an amazing blend of Italian elegance and the Balinese style, which can be soaked in the private comfortable villas. The resort is very proud of its impeccable gardens: the greenery is indeed tailored with an eye to detail. It also boasts views to the rice fields and the Ayung River valley, making it a heavenly retreat. The elegant luxury is guarded by the friendly staff, which is always there to help and serve the guests. The private villas are literally embedded in the rice fields. Personal butlers look after the guests, who are fully equipped in their villas, decorated with the local motifs. The resort provides a custom tailored experience, which includes the Spa treatments, that have already become a signature feature of the hotel.